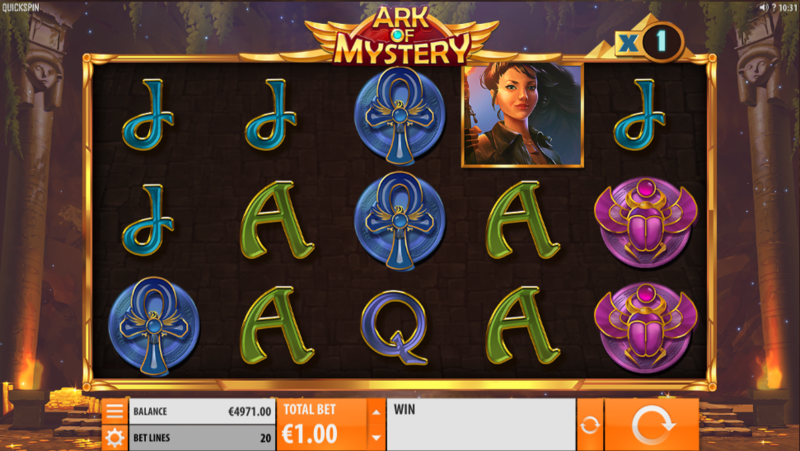 There’s an Egyptian mystery in store now for those tempted to dive into an ancient tomb and check out this online slot machine from Quickspin; it’s called Ark of Mystery and it’s themed on the legendary Ark of the Covenant – read on for all the essential details. Ark of Mystery is a five reel slot with three rows and twenty fixed paylines; an expensive-looking gold frame surrounds those reels which float against a backdrop of temple steps, strewn with piles of gold coins. The higher value symbols include our intrepid explorer/graverobber, the Eye of Ra, the Scarab and the Ankh; 10, J, Q, K and A make up the lower values. The golden Ark is wild, it will substitute for all others to help form winning matches and it’s the key to the main feature as described below. This is the main feature and it’s triggered each time the Wild Ark lands anywhere on reels two, three or four; those Arks will now lock in place and award repins in which the Ark will copy itself to an adjacent position on the same reel – the spins will continue until there are no free spaces for more replication, up to six spins can be earned this way. 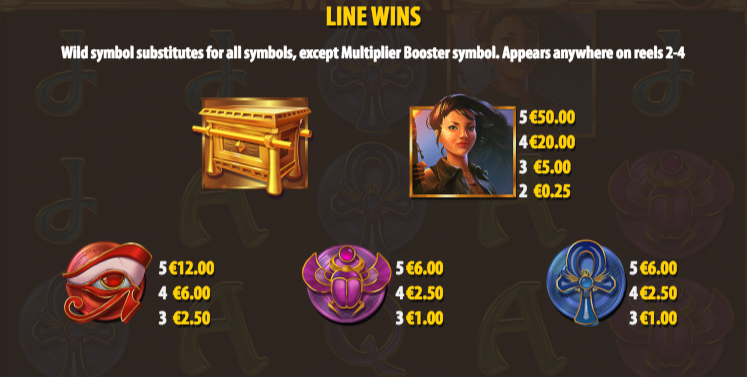 The Multiplier Booster is a glowing pyramid which appears on reel five and which increments the multiplier in the top right hand corner by 1x for any wins on that particular spin. More than one pyramid can land on reel five on each spin. Ark of Mystery brings Quickspin’s usual high standards to the Ancient Egyptian genre; it’s quite a high variance slot so the big wins are in the Wild Ark Respin mainly. It comes with an RTP of 96.53%.